.. grazie per la visita!! 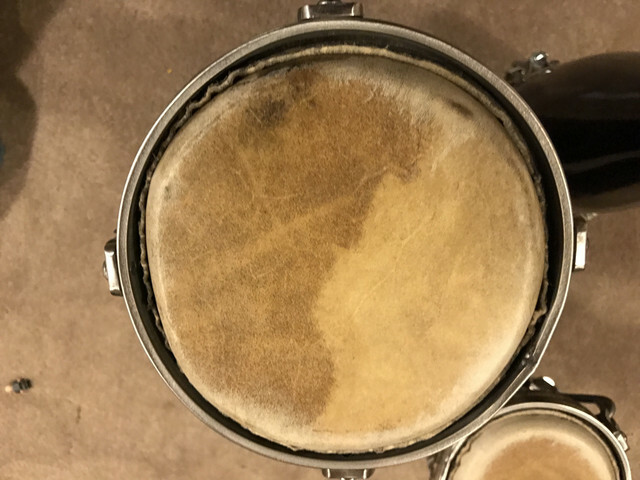 Quelli che chiamiamo "appunti" sono una raccolta di patterns, ritmi, esercizi e vari spartiti ed informazioni per congas ed altri strumenti a percussione. Non si tratta di metodi di insegnamento o "guidebooks"; non vogliamo insegnare nulla a nessuno ma semplicemente condividere del materiale che può essere di interesse a chi, come noi, ama il mondo delle percussioni: enjoy the rhythm! Una "random" list dal nostro archivio... buon ascolto! Hi everybody, i am looking for any notation and info about Oriza, thanks to all. 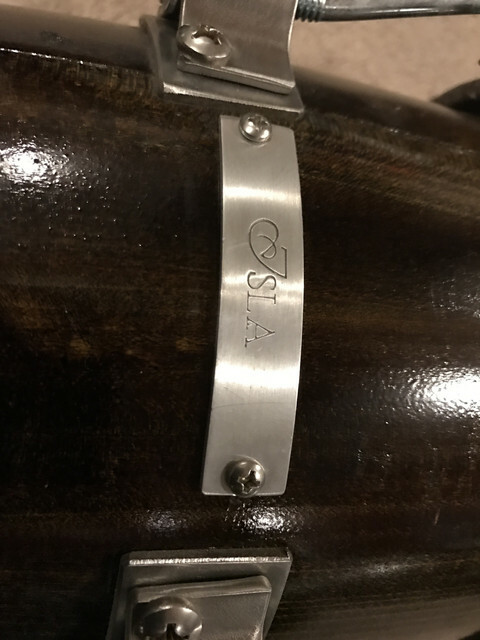 I have some new drums on their way and I am considering selling my very rare JCR conga and tumba. It took me a really long time to find these. They are quite rare, not cheap and a 10 on a scale of one to ten with the original skins, never really played at all. Perfect condition, not a scratch and no oxidation anywhere. 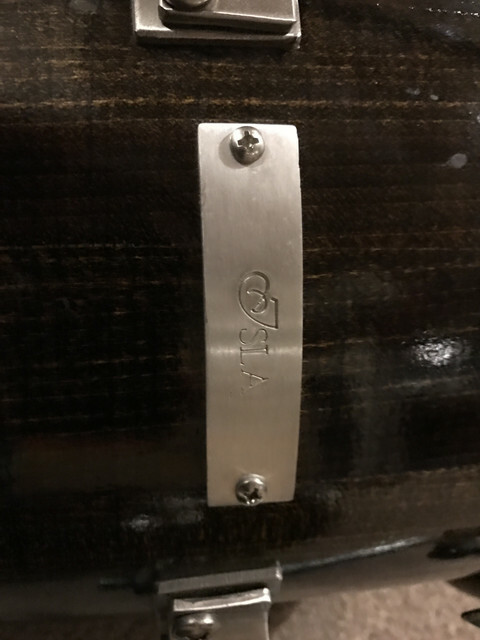 If you know about these drums, know what they are worth and can afford them and are seriously interested please drop me a line to discuss it. Many more photos and sound demos available upon request. I am looking for the "best offer". Thanks! 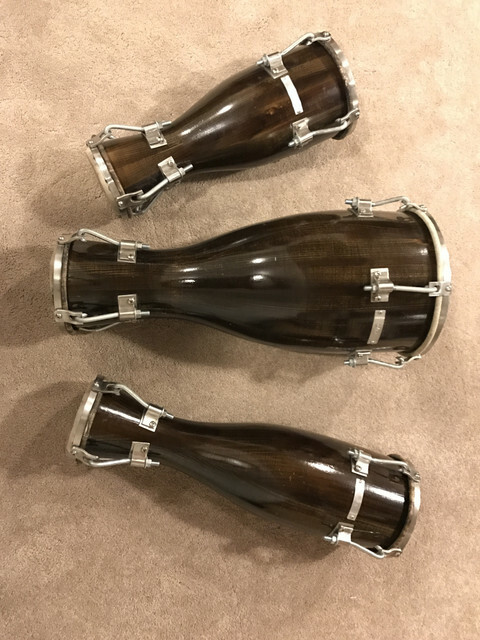 Hi all, I just finished up this set of rope tuned congas and I'm really happy with both the look and sound. These are slightly smaller than a full size set. 28" tall with heads at 10, 11, 11.75 diameters. I did solid walnut stave design with bubinga accent. I know there is lots of concern about specific tuning with the rope system - I used a strobe tuner on my phone and was able to tune these to E-G-C tuning without much trouble at all. I noticed that one "diamond" or knot in the rope changed the note about half way (I don't know correct terms). Took me about 10 min to tune them up for the video. Hi there, thank you all for providing such an amazing forum to all things conga related! 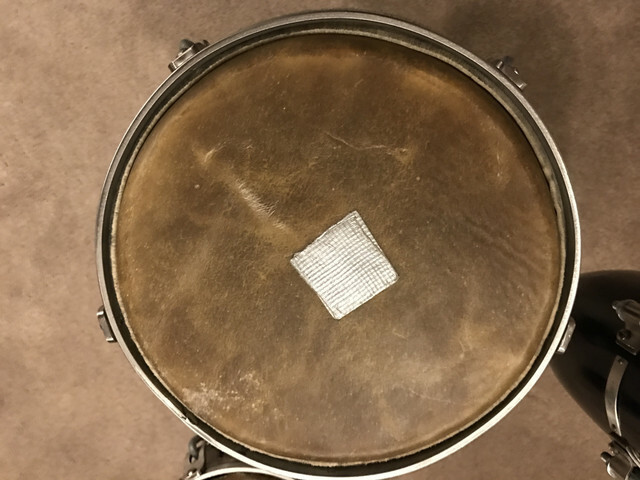 I've been learning conga playing since a while now, drawing from all sorts of sources (books, DVDs, youtube and a teacher...) yet I've still not found an answer to this almost paradoxial question: Is there a clear distincion between a heel and a bass tone ? By this I mean that if you lightly tap the skin with the heel it is clearly different from letting the full hand fall down heavily in the middle of the skin for a bass tone. Changuitos 'Mano secreta' videos/books clearly teach a heel toe movement where the full weight of the hand seems to come down for the heel. Other books teach the same idea. It sounds like a bass when I do it. So instead of heel/toe I hear Bass/toe. Should I just be more light in my touch on 'Changuitos Heel' to take some bass sound out of it ? Are these exercises just some technical preparations for the famous 'mano secreta' movements ? Or is there no distinction between a heel and a bass sound ? Probably it is a continuum (between a light heel tone and a full bass), but thats just my interpretation so far. I'd love get some input from this knowledgeable community on this and I hope that this somehow makes sense as I'm a bit lost here. Cheers! Hi all, I just bought these old beauties, as I gather, they are Italian, probably from the 70´ties. They are "Hollywood By Meazzi" - just under 32 inches high, and 10" & 11,5". Anyone with more info on these ? tips for restoring them ? The skins look fine, no cracks, and they actually sound very decent. 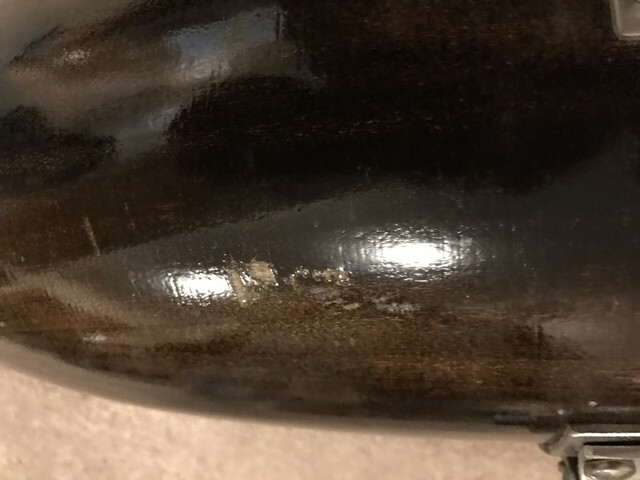 Is it a good or bad idea to mix wooden congas with fiberglass ones or does it really matter? Your opinions. 1. 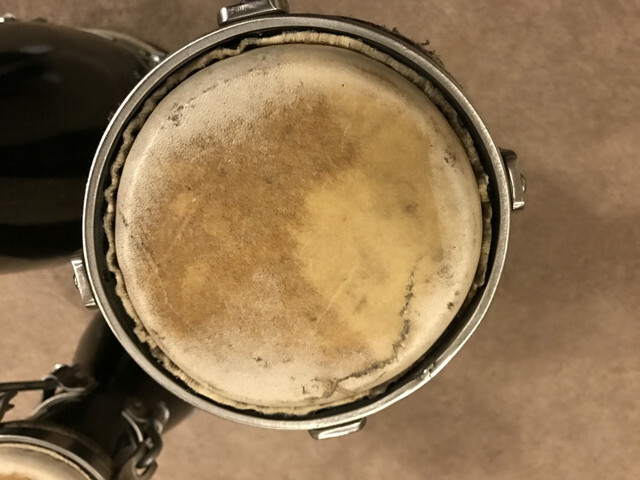 Son clave and rumba clave - 2 different claves or 2 variations on the same thing? 2. Do other rhythms count as claves? E.g. 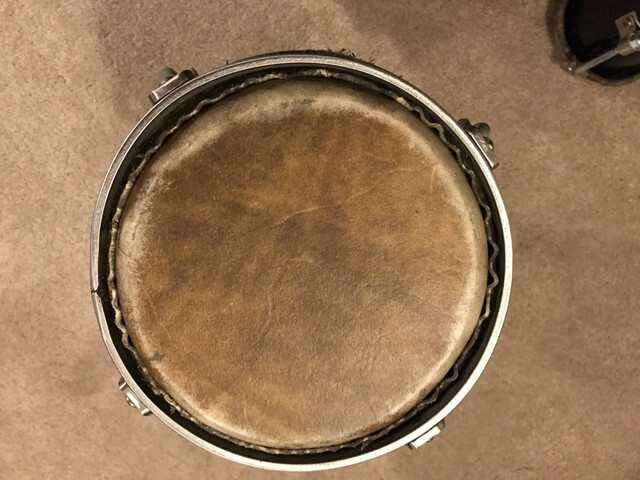 6/8 bell pattern, guajira clave, danzón clave. Personally I think they're repeating patterns but - as I understand it - their rhythms are not implied by the other instruments and arrangements, so they're simply rhythms/patterns/motifs and not claves. (N.B. I only know of guajira clave and danzón clave because someone mentioned them to me whilst trying to prove to me that there are many different claves.) The only claves I consider to be claves are son clave and rumba clave. But you're welcome to correct me! Thanks for the opinions. Hi forum members. As some of you may allready know, Giovanni Hidalgo is sick and seems to need some help. Here's the link to the site explaining it all and collecting funds for him : https://www.gofundme.com/giohidalgofund. Have a nice evening. Not for me now, I need to sell some not buy more. But if you have the $$ and like to collect bongos these don't come around very often. Some claim that these are are as good as it gets?. I bought these on the forum about 4-5 years ago??? Not sure what else to say. They are Islas. Build quality seems good. I've taken the heads off and re-stretched them a bit because they were flush with the rims initially. They are still pretty shallow, but definitely playable. I have played them in group and as a set of three without issue. Tape on Iya was for dampening. I took a picture of one scuff. No cracks or anything. Hello ! I would like to explain to all of you to not making business with Conrad Kubiak from Spirit in the wood drums. Honnestly I am wondering if thisguy is not a big time waster. I passed an order 2 years ago for a bongo set...(and honestly with two other makers it takes between 3 and 6 months...) I never have any call from this guy...I always have to call and call and call him again just to know if the order was on creation or not....and I never get any answer.... And during the last year he just never retrun my phone call and never get back to me....What do I must think about this company and this guy...!??? He steal me 350$, and he steal also Maya Virgo, and also Serenity Hayabusa up to 3 500$!!! for a conga set that he probably never create !!! You can see that easily on his facebook page, in the section visitors publications. If anybody knows about him, if anybody already experiment some problems with this guy, please do not hesitate to contact me via this forum. Thank you very much in advance. Hi everyone, a couple of questions on 3 drum settings - I'd really appreciate hearing your answers thanks! - I'm a technically a RH player (although try to develop as much ambidexterity as possible and can play all of what I play both ways round). I like to play afrocuban, roots music and jazz. My setting for 3 drums is: Tight triangle formation, pointing at me - conga directly in front of me, quinto at 11 o'clock, tumba at 1 o'clock. Question 1 - Does anyone else play like this? I've not seen anyone do this (although there aren't many congueros where I live). Most seem to favour the quinto in the centre with conga left and tumba right. I can't see what the advantage is of doing that. Question 2 - what is the advantages / disadvantages of quinto centre vs conga centre? 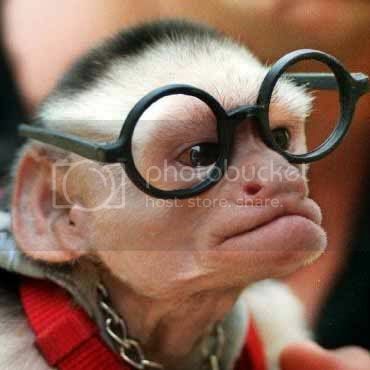 My reasoning for my way is: - I like to play on the conga as my main drum. 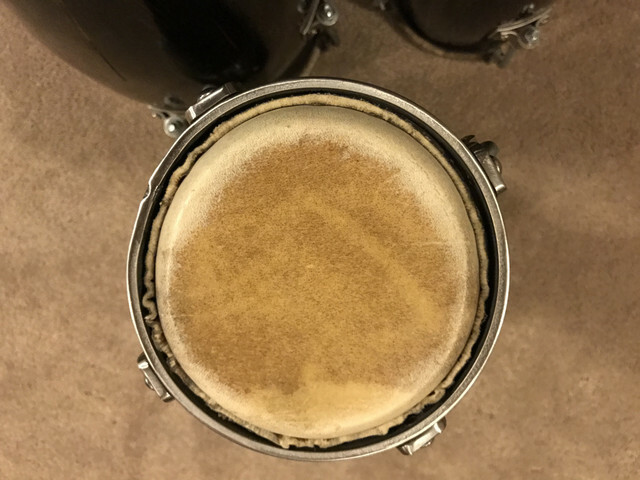 - For tumbao this position makes it easier play on conga / tumba (rather than having to reach over the quinto to get to the conga and tumba, afterall a lot of time is spent playing tumbao / variations!). - Having the quinto at 11 o'clock means it's easy to reach for ostinatos / bell patterns with either hand (obviously slightly easier for the left hand but it's close for both). - Again, the quinto at 11 o'clock allows easy access for both hands for solos etc. My understanding is the quinto is a soloing intrument. I'd be reassured to know I'm not the only player who plays this way! Question 3 - are there any of you or any other pro players using the drums set the way I do? Thanks, Looking forward to hearing your comments! Hi everybody. It's all in the title : I just purchased on line (on a second hand site) a bongó of this brand, which is supposed to be delivered in the next days. I just know it was a Columbian brand, and that it's now out of business. I can remember I noticed some links on the web, a few years ago (2009 ? 2010 ? ), but can't find anything anymore. Does anybody know something more about the brand ? Of course, I'll post some pics when they arrive. Thank you in advance. life long string instrument player, mostly guitar--fingerstyle, slide, lap--and mandolin. Recently bit by the latin music bug by way of a friend teaching me the basic rumba flamenco strumming patterns. Truth be told, what I find most interesting, in the various afro-latin styles, is the percussion side of things. 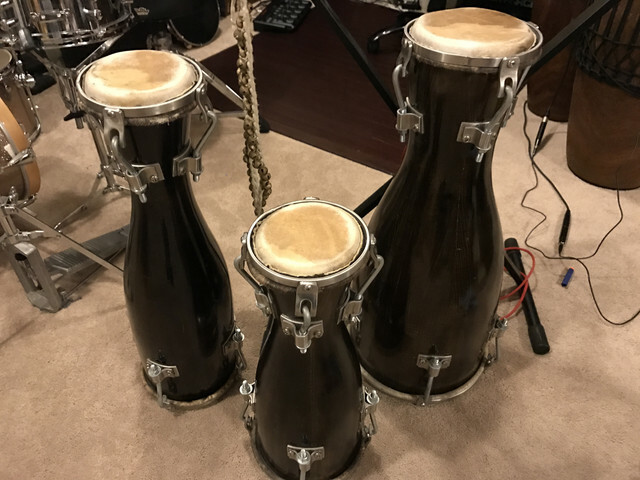 A friend of mine who runs a small music shop let me have a conga/tumba pair--Meinl Marathon--for $175. Nothing wrong with them except some cosmetic dings, he just needed to make some room and he had taken them in on trade. Anyway, I have done a web search for teachers in St. Louis but all I turn up is one of those people who thinks that there music degree from an art school justifies them offering lessons on just about every conceivable instrument. New to this place and in many ways to the world of Congas. My love affair started in the fall of 1956 after listening to Cal Tjader at Ciro's. I've tried several times with a half hearted attempt to learn these wonderful instruments. I'm now at the latter stage of my life. Age 77 with 4 forms of Cancer and emphysema. However I'm still active enough to spend an hour a day in practice. Perhaps as I become more efficient with my practice I'll be able to play more. I've also just begun Music Theory to study when physically I can't play. I have several books that I've read. I have not yet started lessons but will. Thank you for the add. May I ask a technique question here? There seems to be a difference between fingers open or closed. Is one more correct than they other? For an open tone some suggest striking at the crease between the fingers and the bones of the palm other suggest contact begins at those bones. Once again is there a correct place? Again thank you for the add. I hope to be a valuable member. This is a set that I completed for a customer. I can reproduce something like this easily. Contact me for any custom orders, or visit my site at http://www.etsy.com/shop/63rdstreetpercussion . Received a new to me set of Matadors in the mail yesterday. Bought them off ebay from a guy that said he bought them seven years and never played them, just had them for a conversation piece. When I got them, they were just like new. Took the head off the hembra and the date said 15/8/99, so instead of seven years old, they are 17 years old. They are the almond wood dark brown and were purchased in Japan. 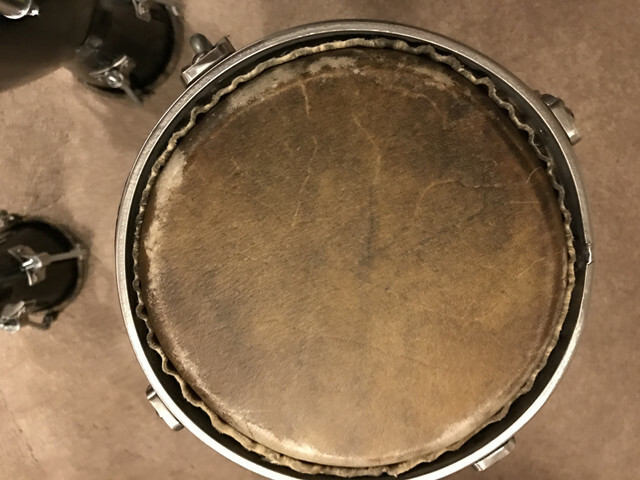 After new skins I will have a really nice set of elderly drums. Are these made of real almond wood or stained rubber wood? I think this makes for a good story. Any comments? Custom Caribbean Burst Shekere - HUGE! Large player! Gourd is 15" tall and over 40" around; beautiful natural texture and 1320 beads!! Nobody has a shekere like this. That is a 2L bottle for size reference. Asking $149 shipped (lots of materials, time). Many musicians think I should charge way more for this one. 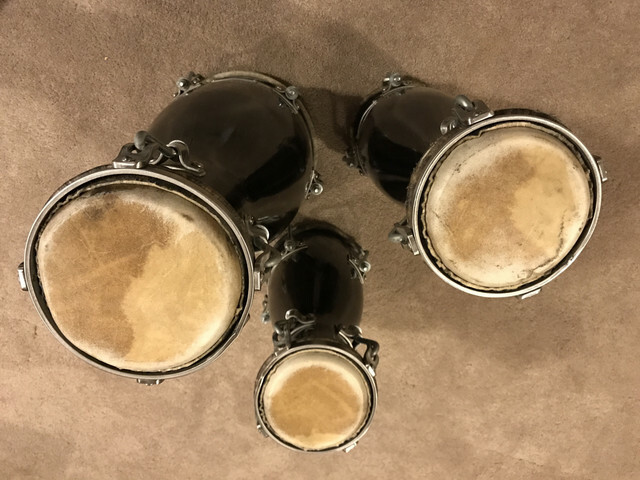 Would entertain a swap for a decent set of bongos: Meinl Luis Conte series, or Toca Traditional series, or something in that middle vein (not bottom line; not top-end signature either).